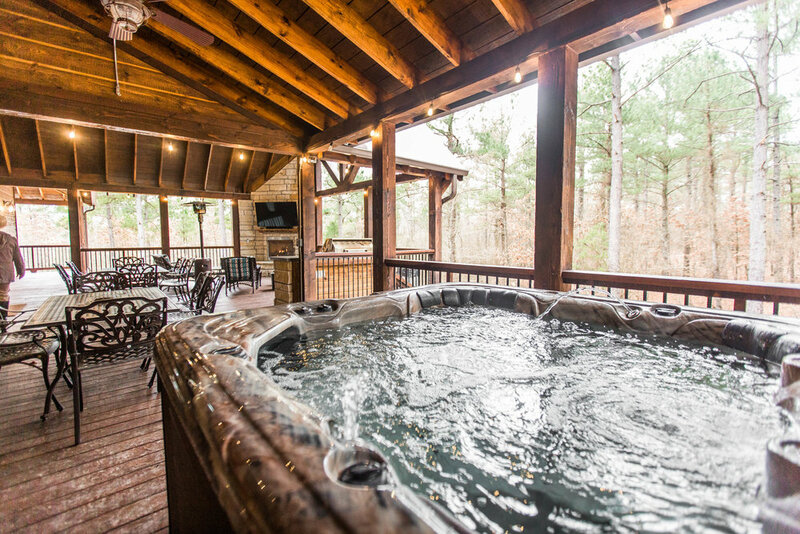 Bring your large family or a group of friends and escape to luxury at the Palmetto Moon Lodge! 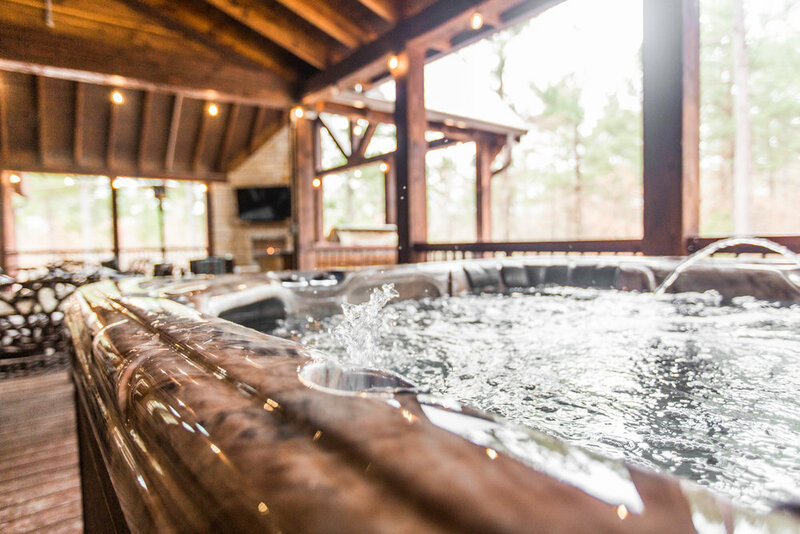 With 3,300 sq ft of living space and 1,600 sq ft of outside decks, the open floor plan of this enormous lodge allows folks to visit and entertain throughout the entire area. 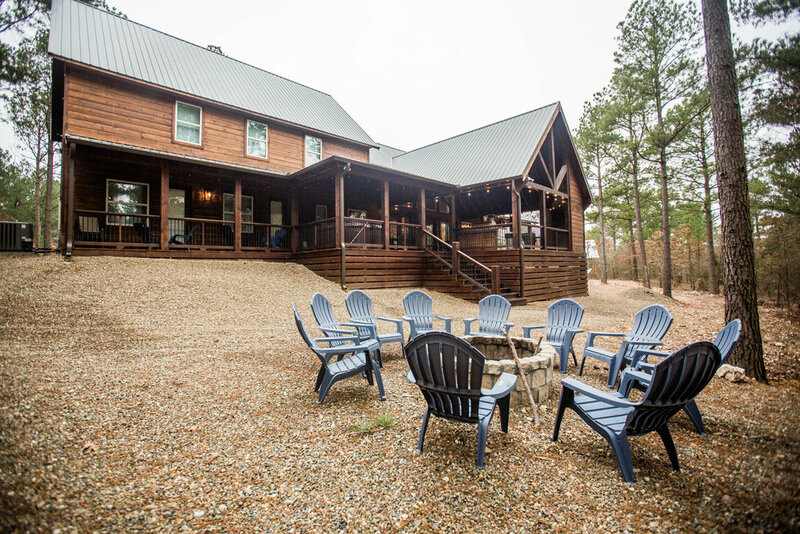 Located in the popular Pine Hill development near Broken Bow Lake and Beavers Bend State Park, Palmetto Moon features 5 King Bedrooms and one 4- person Bunk Room with full baths attached to each bedroom! 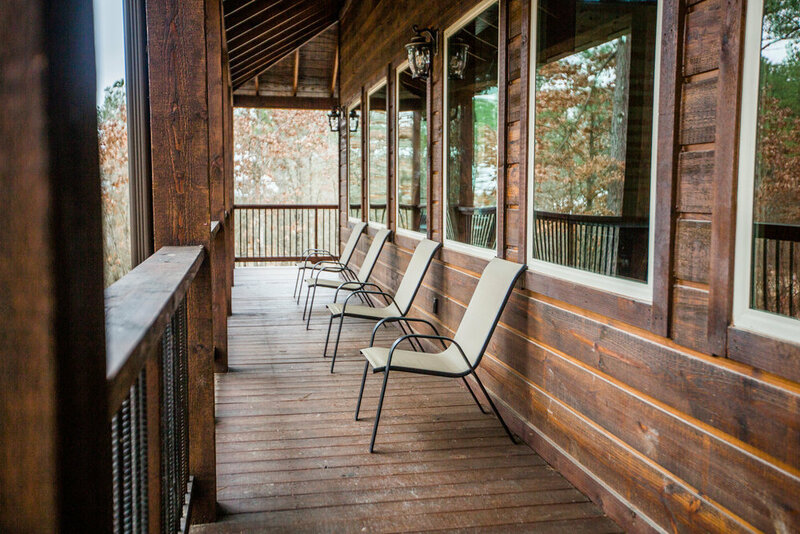 The enormous living area, with a tall, vaulted ceiling and handsome wooden beams, features a 24 ft, double-sided fireplace and is accented by a wall of windows to view the towering pines around the cabin. 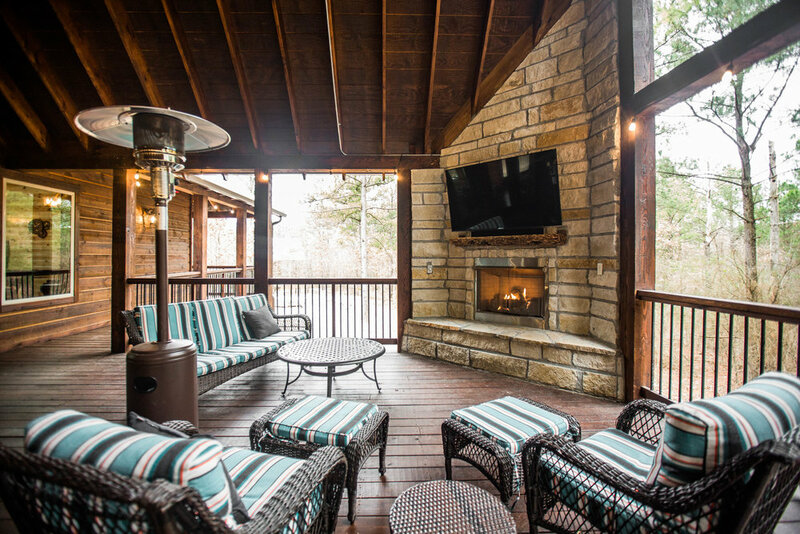 On one side of the fireplace is a spacious seating area with a 65" television mounted above the fireplace. 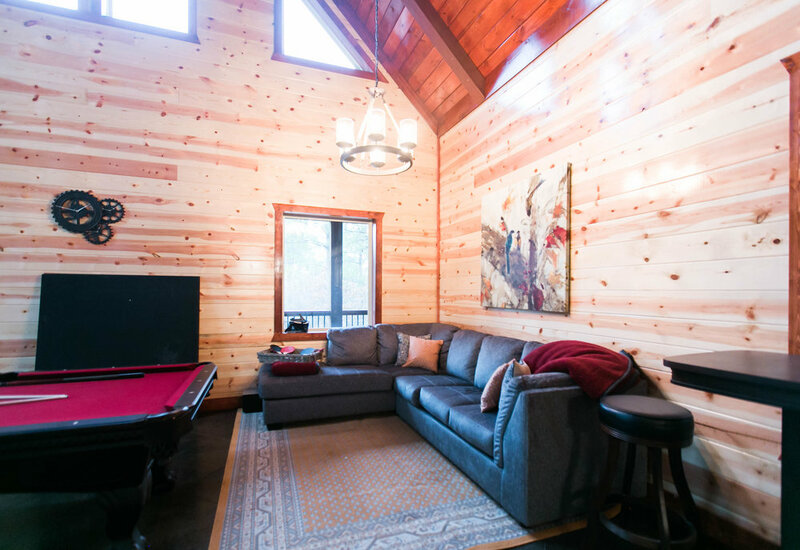 The other side of the fireplace and family room features a game room area with a pool table, game table, television and additional seating. 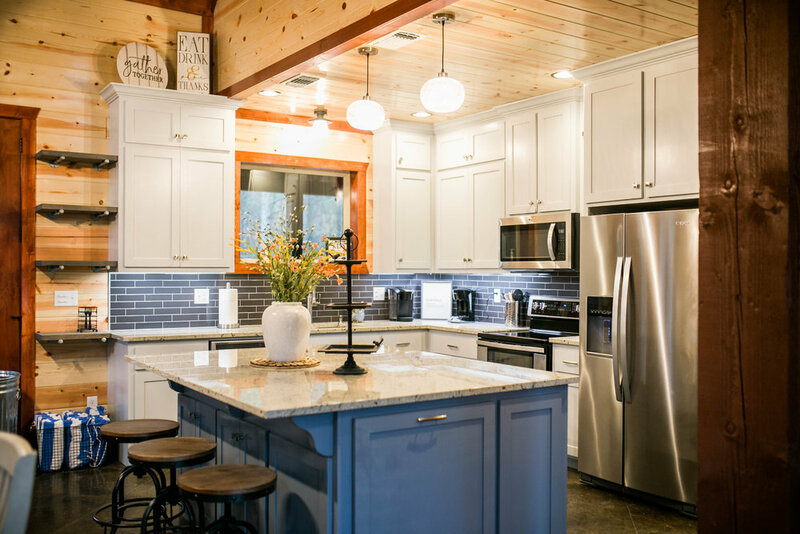 And, the spacious kitchen and dining area with a large island bar is perfect for preparing delicious meals for friends and family! 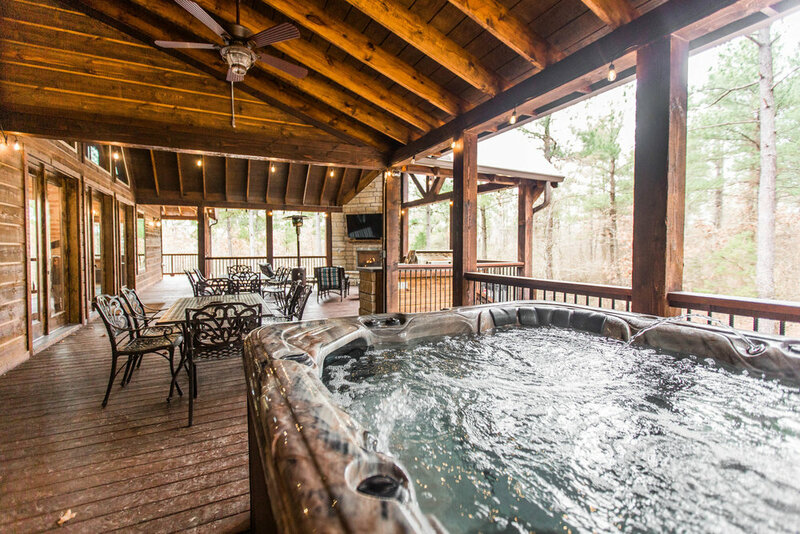 Outside guests can enjoy covered outside dining and a huge hot tub on a covered deck. 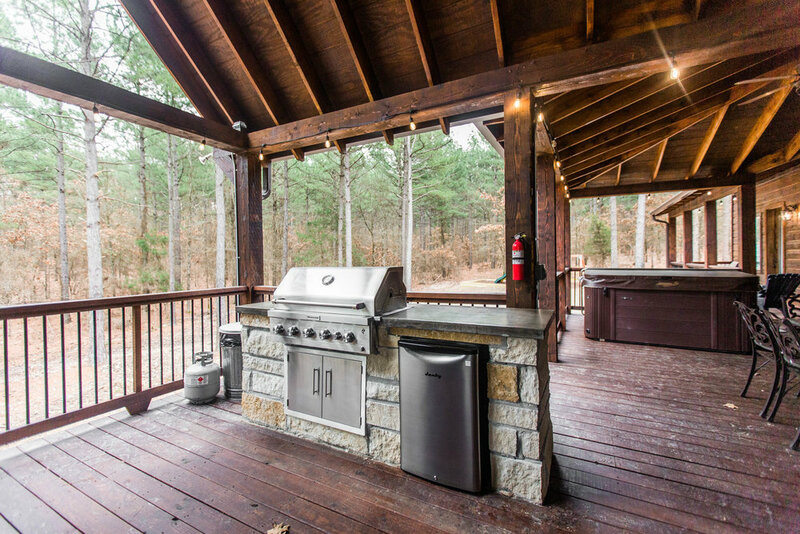 The grill master of the group will surely enjoy the outdoor kitchen with a large, built-in gas grill, refrigerator, and counter space to prepare a wonderful meal for friends and family! 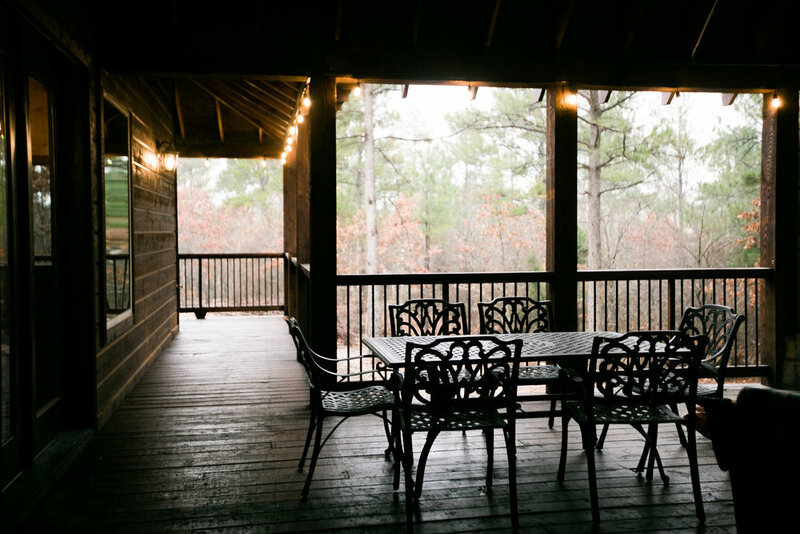 Several additional seating areas outside allow guests to also enjoy a bit of private time away from all the other guests. 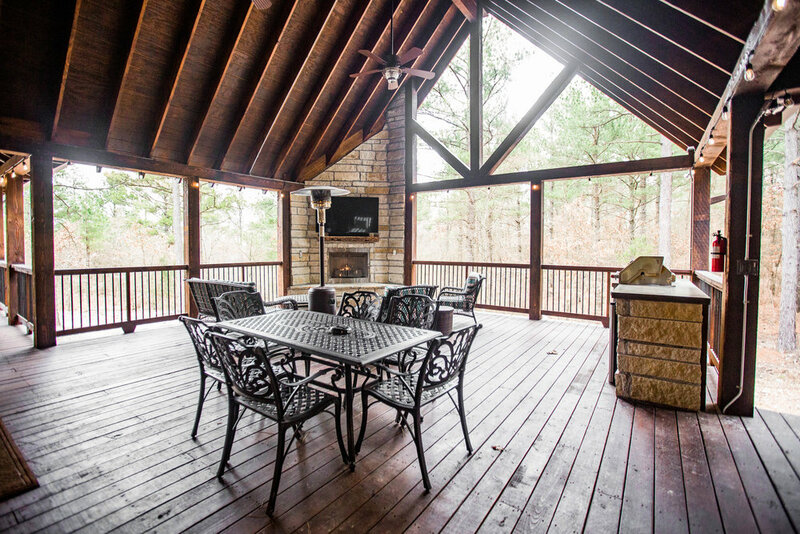 The fire ring in the back yard is the perfect place to enjoy making memories with the family. 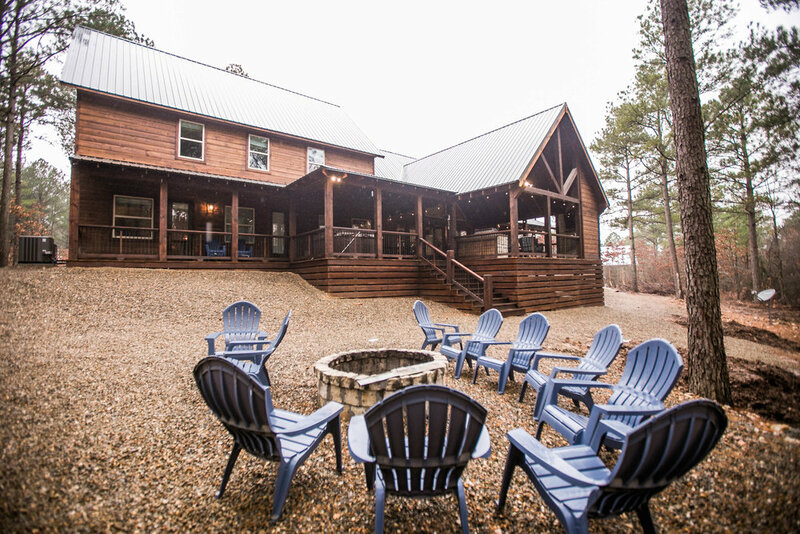 Located just a few blocks from the popular and Abendigos Grill and Patio, Hochatown Saloon and all the activities in around Hochatown, this grand lodge is the perfect location for family time at the lake and at Beavers Bend State Park. 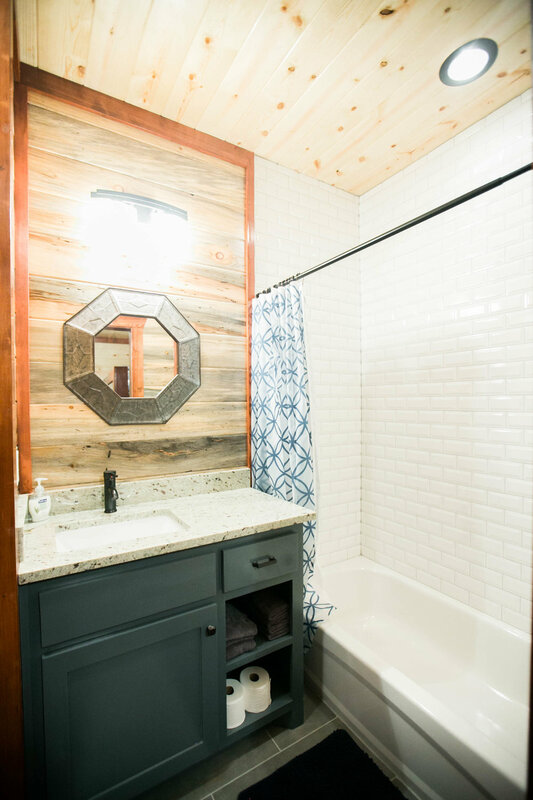 This cabin is brand new and was perfect for my large family. 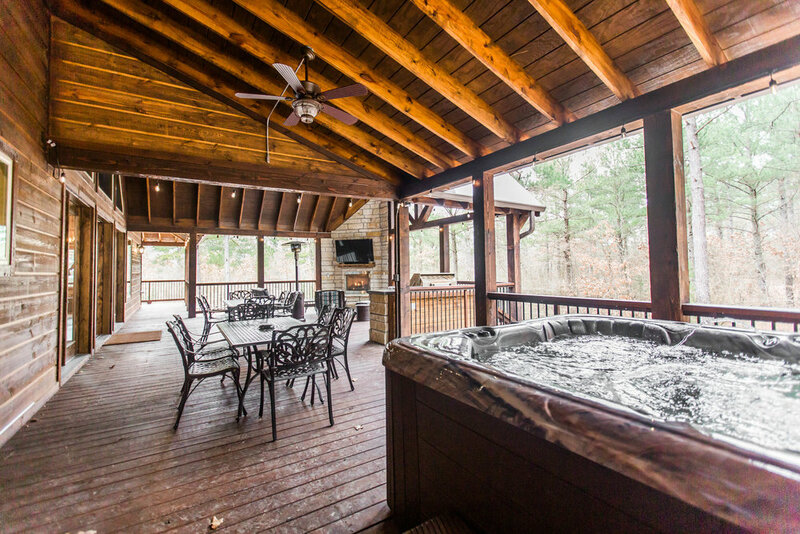 We enjoyed evenings on the huge deck watching games while the kids played pool in the game room. With 3 large TVs in the living spaces we had plenty of options for all. 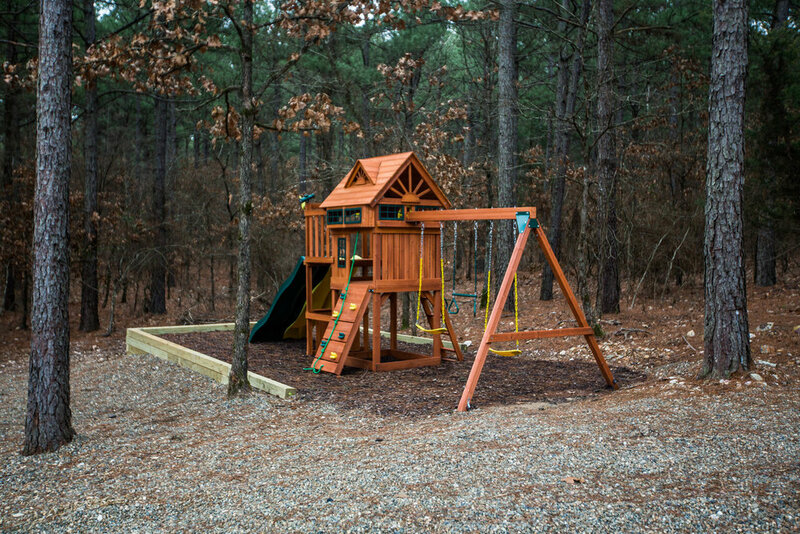 The separate game room and family was perfect for the kids and grown ups to each entertain themselves. Kitchen had everything needed to cook our Thanksgiving meal. Even had tons of parking space for all 3 of our trailers and trucks and the boat! 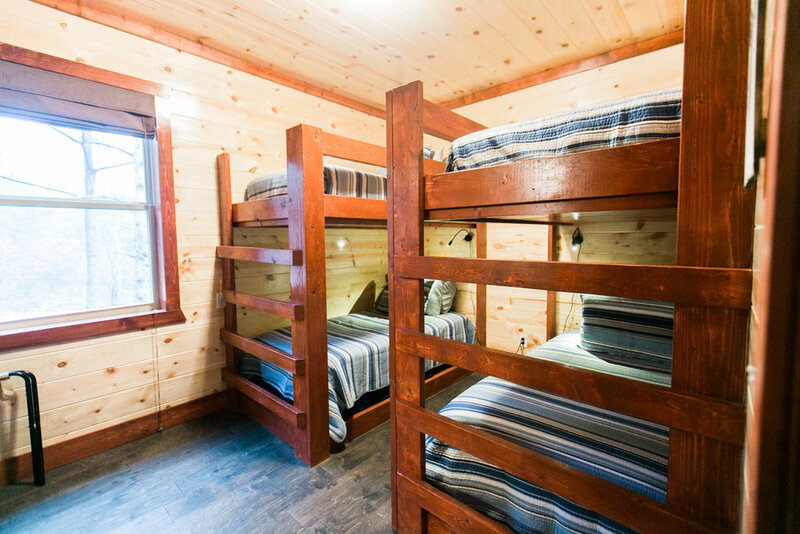 Thanks for a great week in this awesome cabin. 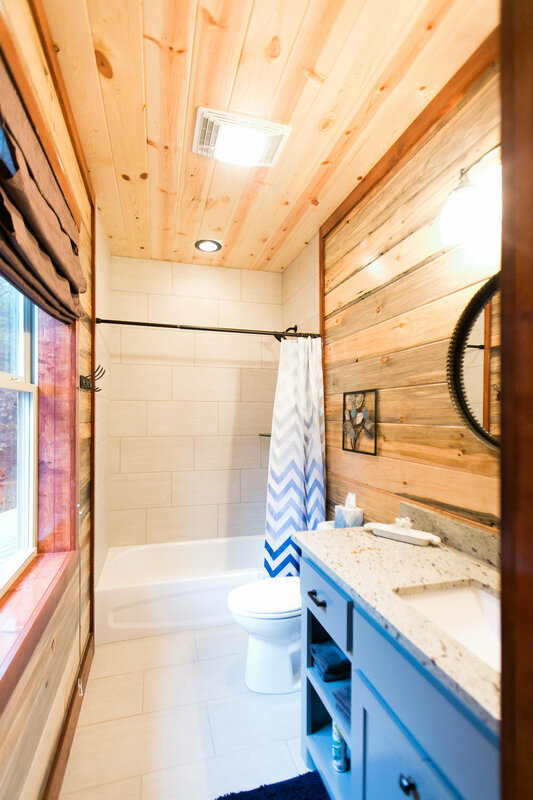 Our family enjoyed this beautiful cabin with all of the wonderful amenities! 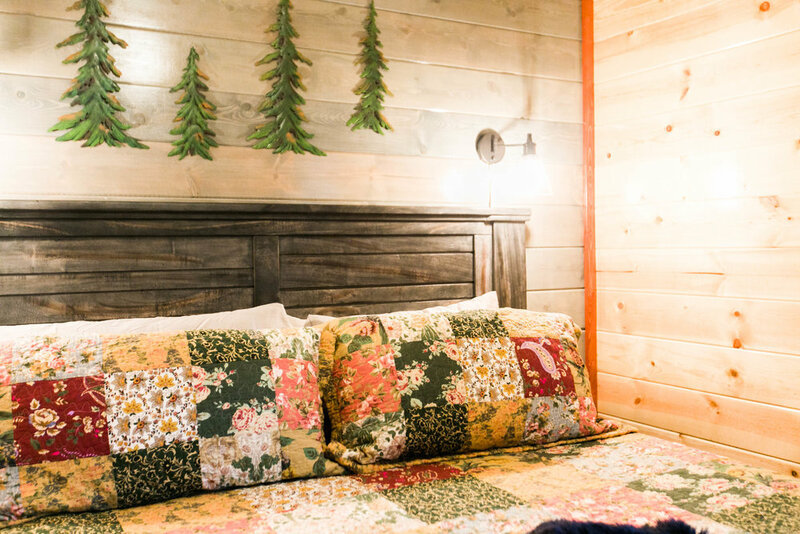 This cabin was a dream! 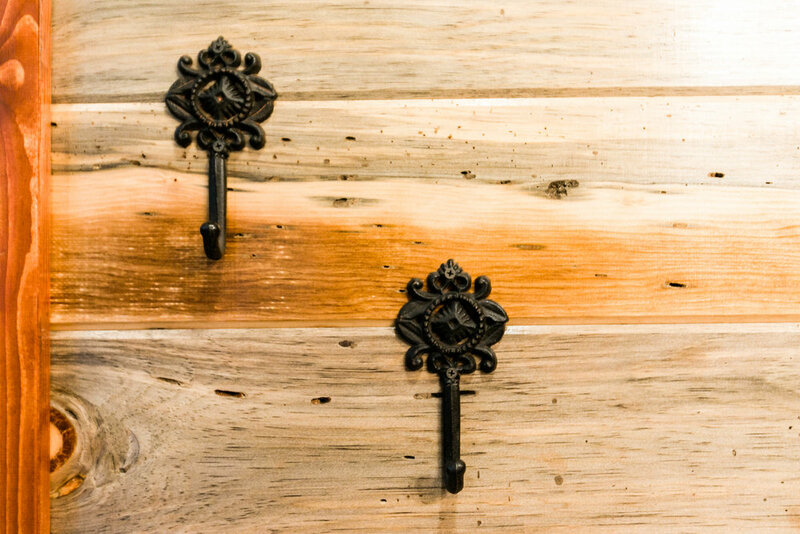 It has wide open spaces in the living room, game room, kitchen and deck!! The tall vaulted ceilings and windows galore brought in the forrest surrounding it. The 30ft rock see through fireplace was breathtaking! The kitchen was equipped with everything we needed to make our family of 12 a very special dinner. 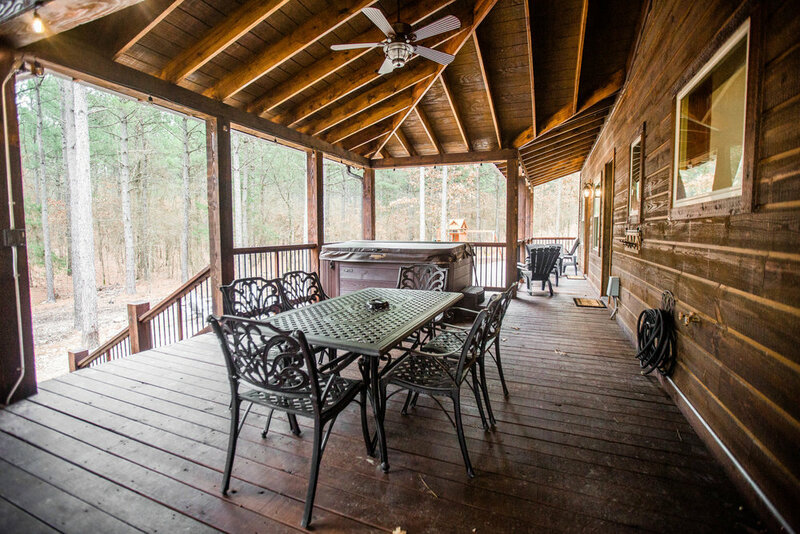 The deck had an outdoor fireplace, plenty of room for dining and relaxing, hot tub, and fire pit space was so enjoyable. 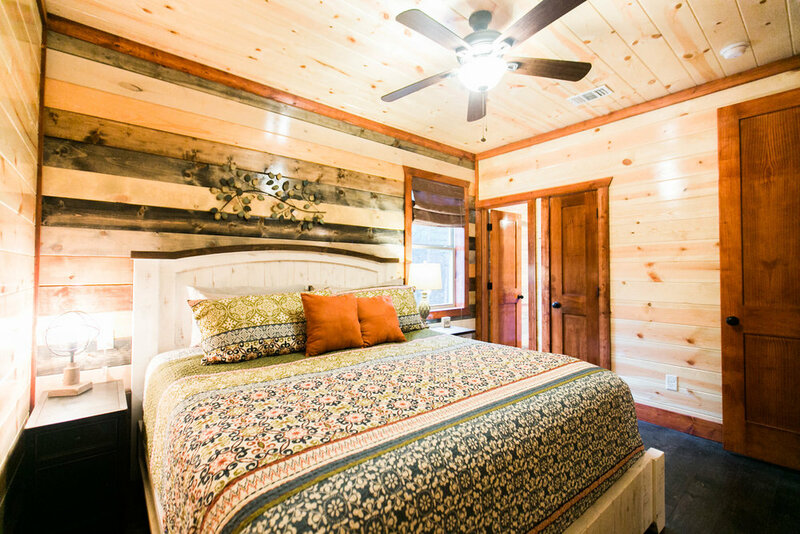 Every bedroom was beautiful and comfortable with it's own private bath. 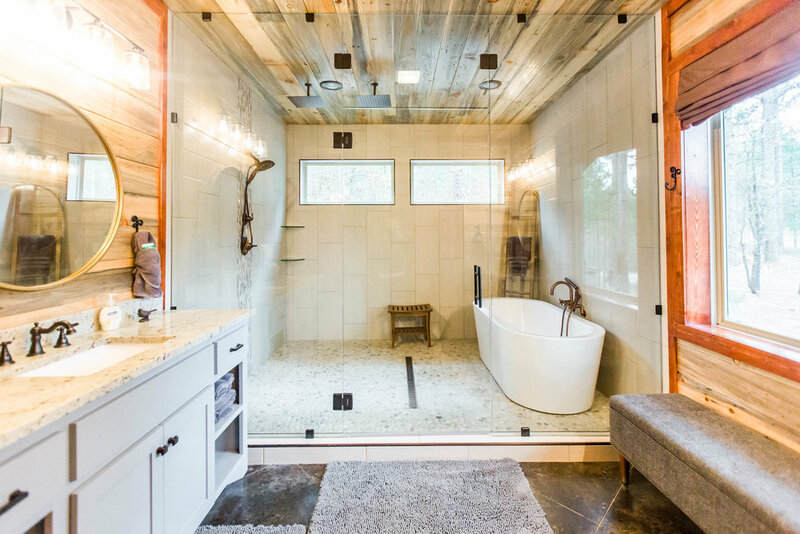 The master bath is a must see with combo shower and soaking tub... beautiful and so luxurious! 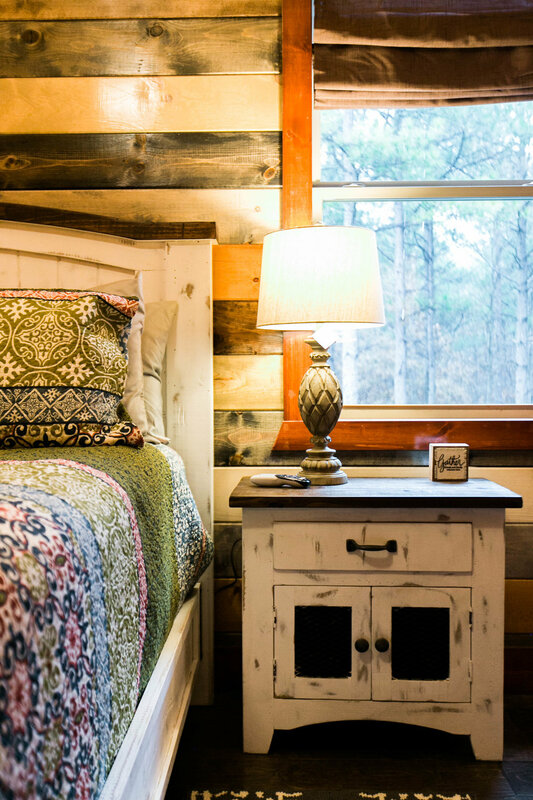 This cabin is absolutely stunning! Love this house. It was perfect for all of my family. Back deck was amazing.